There are a number of environmental issues affecting us here in Grenada. I think it’s being unnoticed or those in authority are not doing their jobs properly, and like no one cares about biodiversity and how polluters are impacting our environment. Those in authority are turning a blind eye to those ailing conditions. I’m calling on the Minister of Health to do something about it now because in his own constituency, I see a number of pollutants along the banks of the St John’s River and I’m sure the ecosystem there is affected badly. There is a garage located at the entrance to River Road on the left-hand side of the river bank, and all the motor oil used from engines is dumped into the river. Do you know how detrimental this can be and what a terrible effect it can have on the environment? Further up that same road there is a waste disposal company located on the other side of the river close to Steeles Auto, and they too are dumping filth and all the runoff water from garbage and septic trucks are washed off in that river. There is conclusive evidence because of the runoff which is visible from the main road. 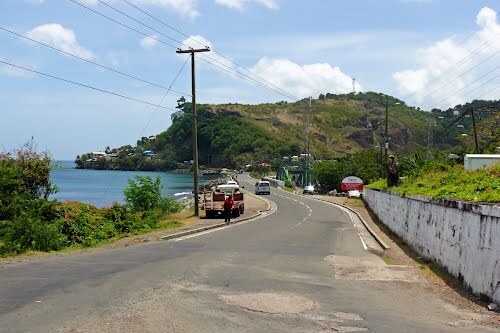 I’m now wondering if there are environmentalists here in Grenada who are passionate about their environment. We often hear so many talks and treaty being signed on issues concerning the environment and yet the environment is not being protected. We have a sad group of leaders in leadership roles and all they are doing is receiving high salaries on behalf of environmental protection. Let’s take a look at the dumping area for raw sewage located close to the entrance of Green Bridge in the city, that is literally polluted with raw sewage and toiletries, and is often left there for days. The air always carries that offensive odour of raw sewage and it’s sickening and unbreathable. Students usually are seen in vicinity passing by going to the various schools that are located in the Queens Park area. 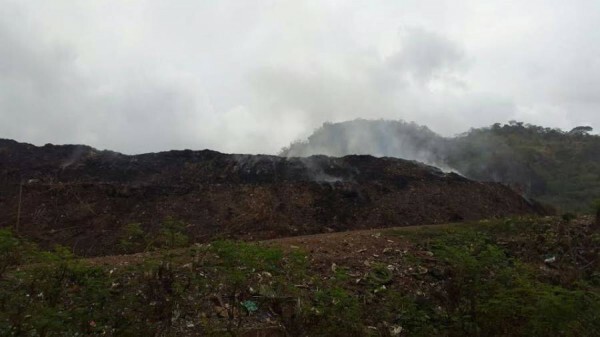 That’s an environmental hazard and again it’s located in the Minister for Health Nickolas Steele’s constituency. Is the minister waiting for a pandemic or endemic to break out before those issues are addressed? Another hot bottom issue is at the Perseverance Landfill area. I’m now wondering why is there is a 3rd dumping site in the area? Why are we polluting such fertile grounds with rubbish and garbage? I think it’s time government invests in proper landfill facilities where recycling of plastics and other products can take place instead of moving from 1 site to the other. In privatisation, some or all of the management, ownership, and tasks for a government operation are shifted to the private sector. One of the most common forms of privatisation is the selection of a private entity to deliver a service, it is sad to say we don’t have local government, just public employees. Essentially, a local government is responsible for outsourcing the necessary services. Recycling and garbage collection and disposal are increasingly becoming one of these services that need restructuring and I want see privatisation. The harbour located close to the Perseverance Landfill has now become a dumping ground for derelict boats and abandoned fishing vessels. Could that be right? A boating graveyard. This is just a site/sight for sore eyes. I hope those in authority do something about it immediately. Lastly, I have 1 more concern in the area in question, because there is a small river or stream and when it rains heavily, the water gathers at the foot of the first landfill site and oils are dumped to prevent the breeding of mosquitoes. But it’s a very dangerous practice, I’m sure the runoff water makes its way into the harbour and marine life will be affected. I’m calling on the necessary authority to do something to save our environment — please!